I would like to present (amongst the hard work, stresses and challenges of course) a cheeky slice of some of the interesting things happening lately. Firstly, the internet has been graced with two Selamatkan Yaki articles, the first depicting our innovative way to present our conservation message to our audiences. Prezi is a fun piece of software that does away with boring presentations. For those sceptics who insist that the message is far more important than the images and content… absolutely, I agree, you should maintain an integral focus on your vocal delivery, but that doesn’t mean that this cannot be enhanced with cool linkages in concepts and eye-catching movements between content. The graphics can be utilised to anyone’s tastes, and should be based upon the target audience and goal of the presentation. The dynamic zooming is particularly effective for engaging young audiences, whilst maintaining professional integrity. The article describes how we use this funky new software and is presented on PreziU, the community platform for exchanging ideas, techniques and stories with fellow education facilitators. The second is an interview that happened to stumble its way upon my most favourite of websites, Mongabay. 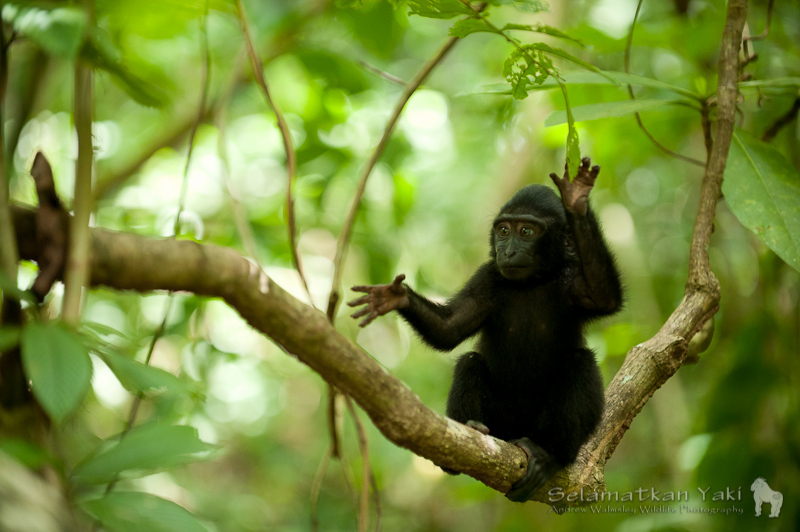 Mongabay is widely recognised as the leading source of conservation news and information, especially with regards to tropical rainforests, in particular across Indonesia. Plus with the recently opened Indonesian version, the most up to date conservation news can be spread across these beautiful lands, increasing our collective knowledge of the current developments in what is arguably the primary concern of current times. Much to our plentiful satisfaction, this week we printed a series of 3 large SY banners for use at seminars, workshops or other events…our eyes positively beamed as we convinced ourselves to stay and watch the entire printing process as each cheeky new, crisp slice of image made its way slowly through the gigantic printer. 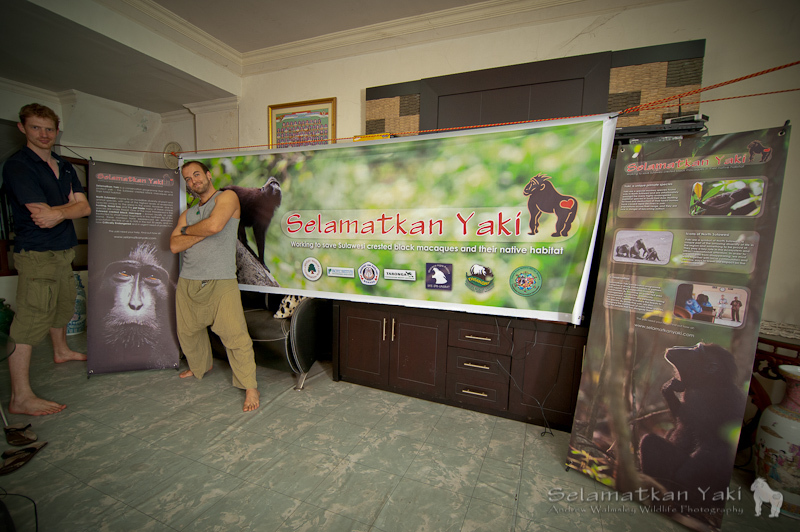 A fantastic result – very pleasing to see the yaki photos presented so large and another great way to display our conservation messages. 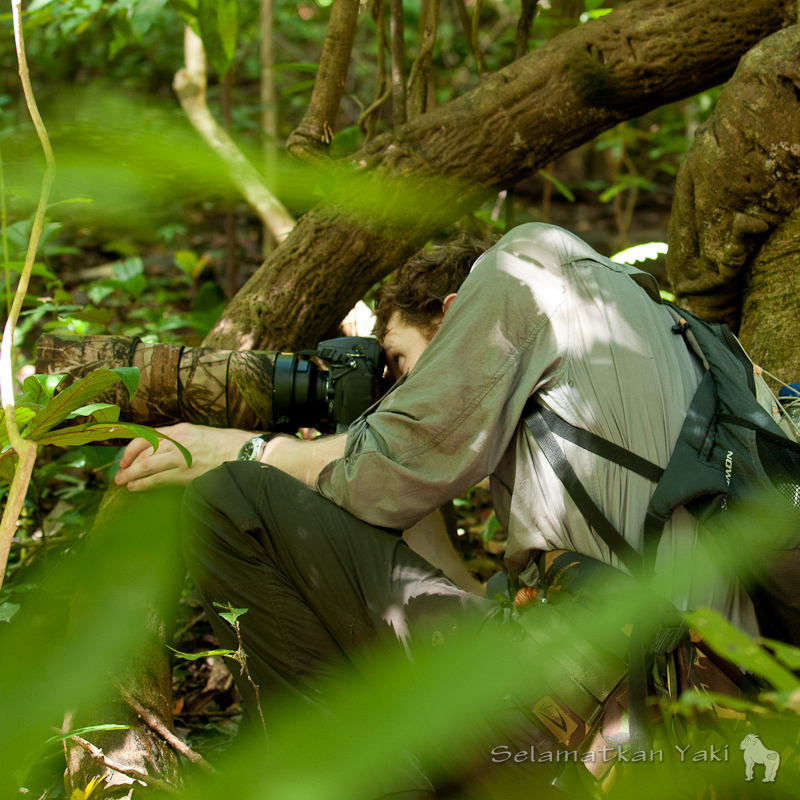 On behalf of myself, our audiences and all the yaki, I send a huge SY thanks to our visiting photographer and good friend Andrew Walmsley for all his help and support, and of course the wonderful images that have been captured on his trip so far. Andrew has a particular relationship with the camera that truly defines him as a photographer…capturing the essence of the subject, and then enabling their character to be presented to our eyes in such striking and unique form. These types of images truly hold the power to illustrate the depth to the lives of the individuals, to captivate, and by getting to eye level, touch upon our empathic centres, releasing the potential to see the inherent beauty of these and all other species.